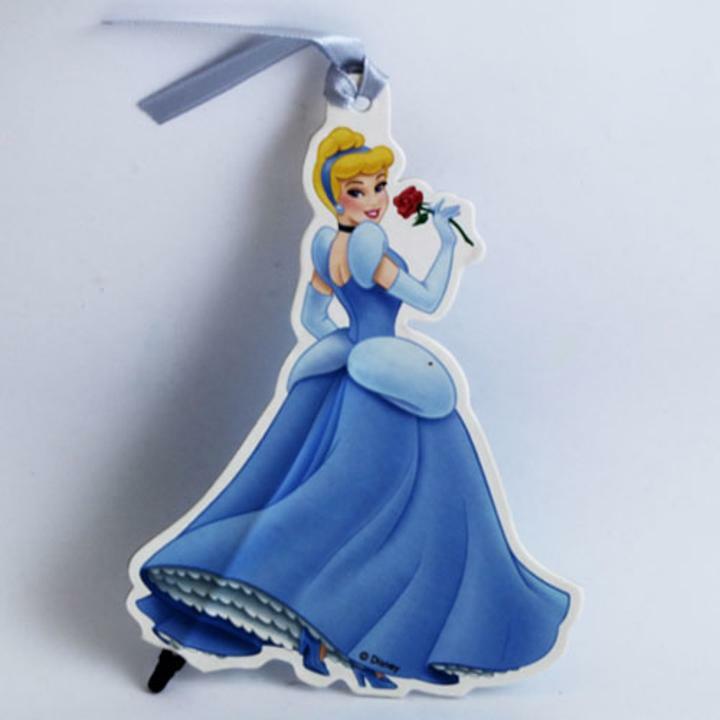 Delight your guests with our unique Disney's Cinderella Princess bookmark pen party favor. This bookmark pen features Princess Snow White and a light blue ribbon. This bookmark pen is great for children who love to read and it's flat shape makes it the ideal study or autograph pen. Each pen comes with a colorful ribbon. Fill our fun party loot bags or organza pouches with our full line of Disney, novelty and closeout party favors. Collect them all! L: 5.5 in. W: 3.5 in. H: 0.25 in.